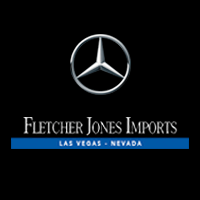 To better accommodate business owners, Fletcher Jones Imports offers top-notch service for the Mercedes-Benz Sprinter and Metris! 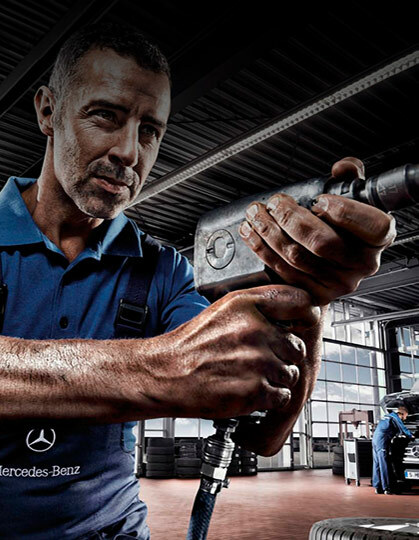 Our Mercedes-Benz Sprinter service center, located just across the street from our dealership, is your one-stop-shop for fluid checks, brake inspections, transmission and engine repair, and more. 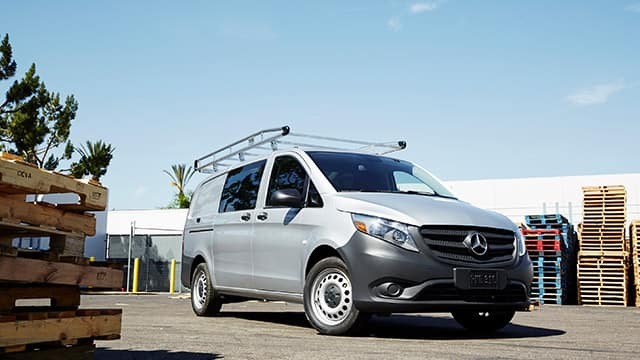 Operated by Master Certified Technicians, our service team performs quick yet accurate repairs to ensure your Mercedes-Benz work Van or Cab Chassis performs at its peak. Metris fits virtually any business. 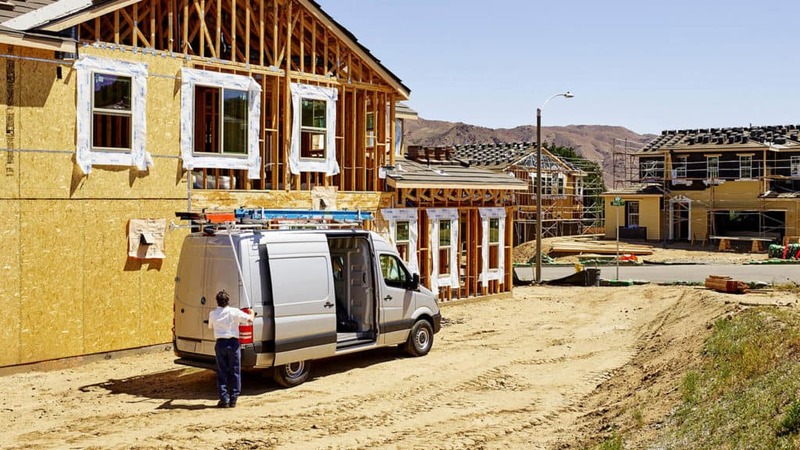 From HVAC to carpentry, courier to general contracting, and taxi to luxury limousine, Metris has you covered. It’s small when it needs to be and big where it counts. 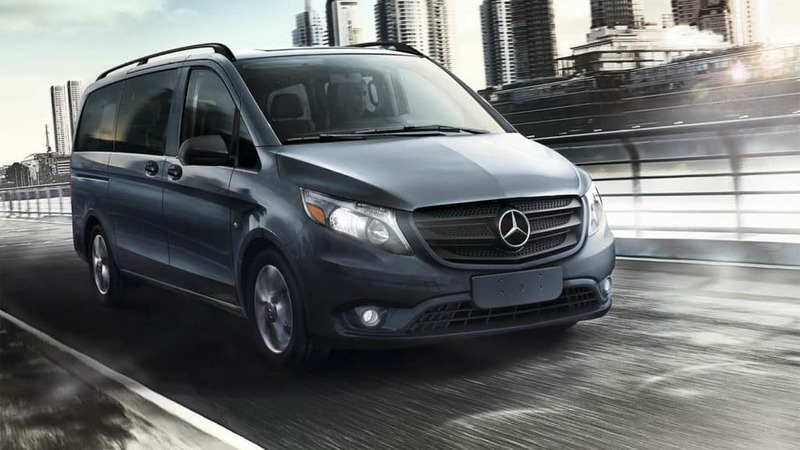 Whether you choose a spacious Cargo Van or a comfortable Passenger Van, you’ll feel safe knowing your Metris is packed with Mercedes-Benz driver assistance systems. Metris keeps your total cost of ownership low and your productivity high. When you spend less time and money on maintenance, your whole company runs more smoothly. Metris fits your business—and your bottom line. Electromechanical steering with standard gearshift paddles responds to wheel turning quickly, returns to the straight-line position swiftly, and maneuvers easily at high and low speeds. Whether for business or for pleasure, the Metris Van is designed with your future in mind and can be easily transformed by a MasterUpfitter. 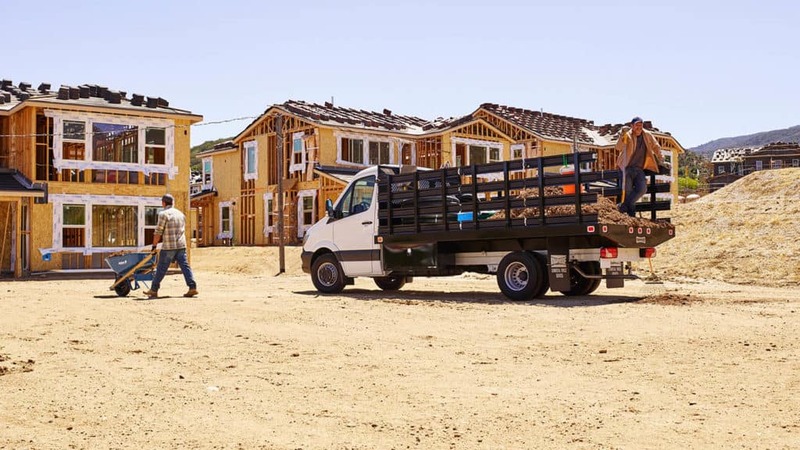 Available in multiple configurations, such as standard-roof/144-inch wheelbase and super-high-roof/170-inch wheelbase, the Cargo Van offers up to 530 cubic feet of cargo room. Standard on every Sprinter, Load-Adaptive Electronic Stability Program (ESP®) uses automatic brake intervention to prevent stability loss due to wheel-spin, understeer, or oversteer. 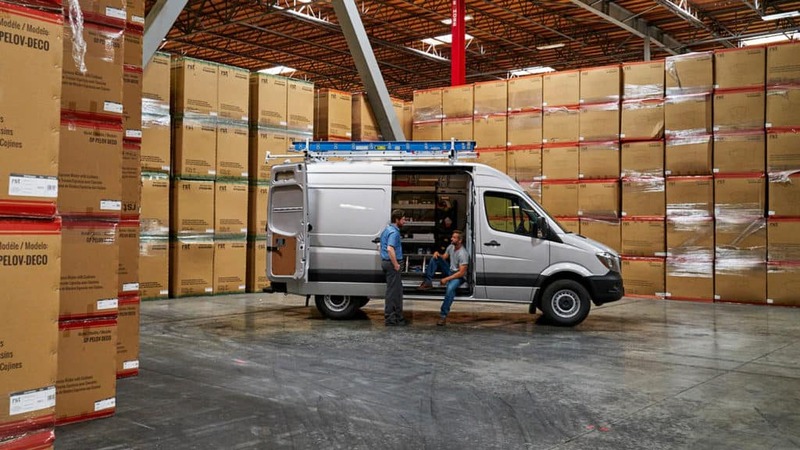 Thanks to its practical and affordable service intervals, the Sprinter takes the headache out of maintaining your commercial vehicle, and lets you focus on other pressing business matters. 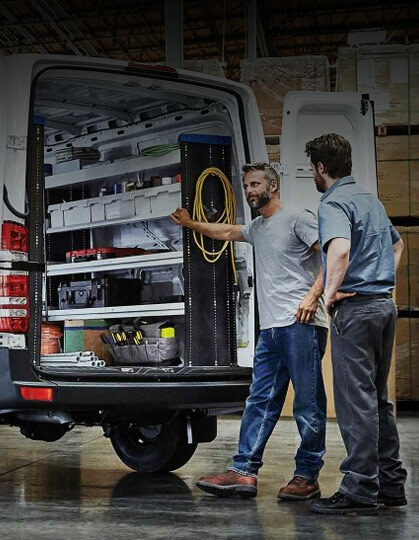 To ensure your Sprinter performs at its best, you’ll enjoy a 3-Year/36,000-Mile Basic Limited Warranty, a 5-Year/100,000-Mile Limited Outer-Body Warranty, and a 5-Year/100,00-Mile Diesel Engine Warranty. 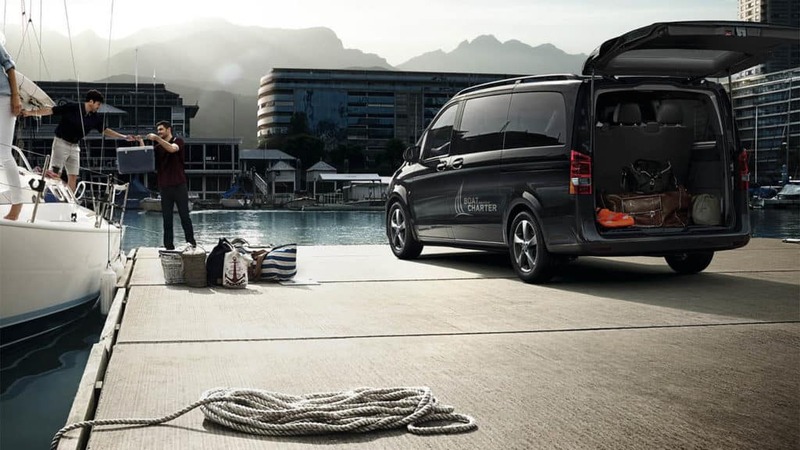 Thanks to more than 100 years of production knowledge, Mercedes-Benz Vans are able to blend car-like driving dynamics and comfort with the volume, payload, and practicality you need from a commercial vehicle. Find Your New Sprinter or Metris Today! Featuring high payload and ample cargo volume, the Metris Worker Cargo Van is ready to deliver for your Las Vegas business. The Metris Cargo Van is available in multiple metallic and non-metallic exterior colors, and offers a choice between cloth and black leatherette upholstery. Offering seating for up to 7 people—the Metris Worker Passenger Van is built with you and your passengers in mind. The Metris Passenger Van seats up to 8 people, yet tows as much as 5,000 pounds without breaking a sweat. 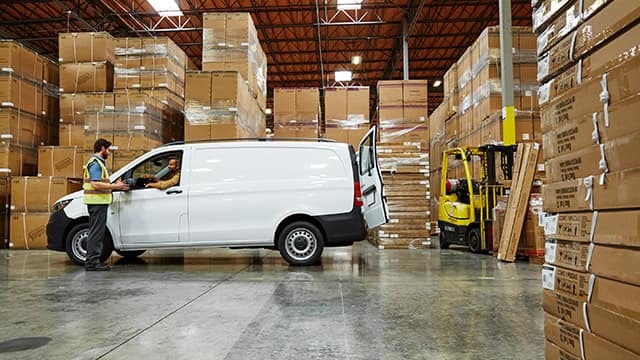 The Sprinter Worker Cargo Van tows up to 5,000 pounds and hauls up to 3,501 pounds, thanks to its 188-hp 6-cylinder engine and 5-speed automatic transmission. 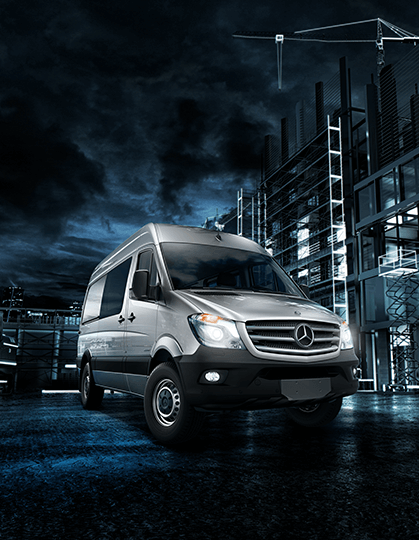 The Sprinter Cargo Van – with a starting MSRP of $38,420 – boasts impressive specs, including a 5,628-pound max. payload capacity and up to 530 cubic feet of cargo space. The Crew Van has a $44,505 starting MSRP, seats up to 5 people, and has a maximum payload capacity of 3,146 pounds. Capable of seating 12 people, the Passenger Van offers an interior standing height of a little over 6’3″, as well as wide side-door openings and a choice between a 144” wheelbase or a 170” wheelbase. The Cab Chassis goes for a starting rate of $37,920 and brags a max. towing capacity of 7,500 pounds, seating for three, and a payload capacity of 6,521 pounds. 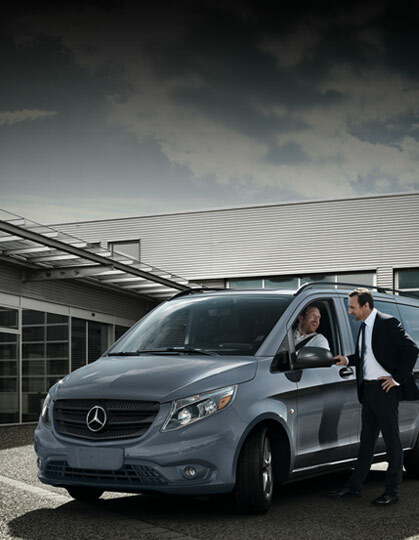 Contact Fletcher Jones Imports to test drive one of the incredible Mercedes-Benz commercial vans! Las Vegas businesses will appreciate the strong towing power of these vehicles. If you have questions about the Sprinter and Metris Vans or Cab Chassis, don’t hesitate to contact us. 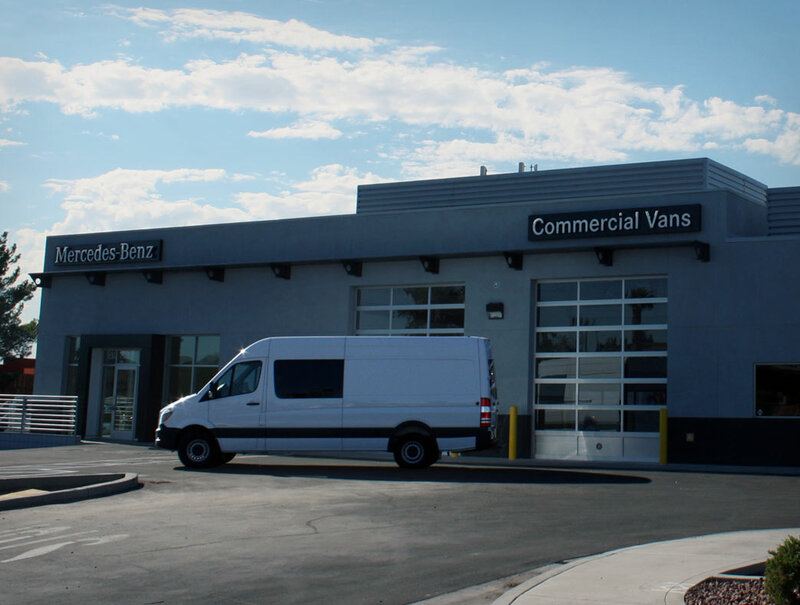 You can also visit our dealership at 7300 West Sahara Avenue in Las Vegas—a short drive from Summerlin and Pahrump.